Our 3rd design is up! 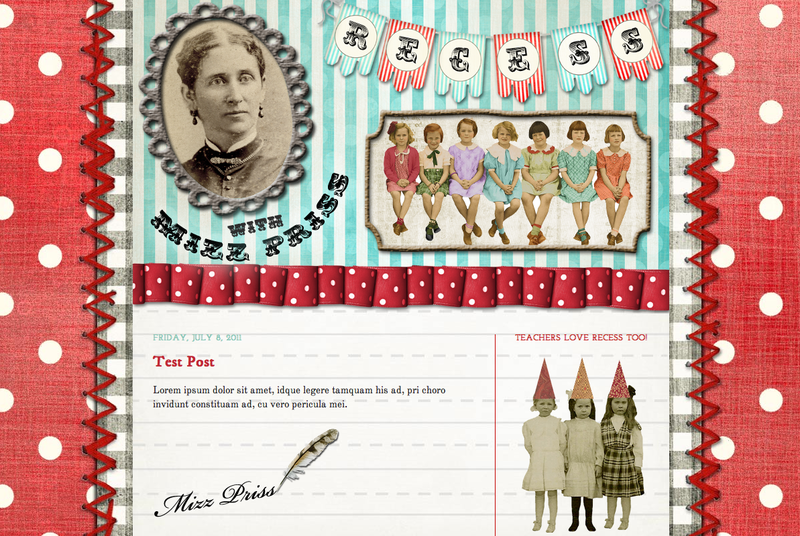 Lisa is a brand new blogger who wanted a vintage feel for her site Recess with Mizz Priss. Why don't you pop over and welcome her to our blogging community? OH I have been waiting for this blog! 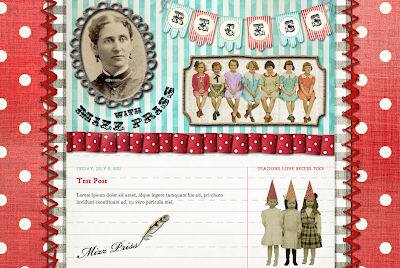 Lisa and I teach at the same school, and she told me you were designing her blog! It is adorable, great work!